We always seem to be beginning our yearly reflection with a ‘Wow what a year it has been’ … and again 2017 was no different. Our lives just seem to be getting busier and busier, with so many wonderful achievements, exciting changes and just the fun of day to day life. 2017 saw more of our ‘big kids’ move to the big smoke of Phnom Penh to continue on with their tertiary education… we now have seven of them living down there in their own ‘Gecko’ apartment. Having them move away meant some readjusting in our kinship care models as they were all responsible for their younger siblings. We have had Aunties move in, mothers becoming more responsible and understanding the pressure that they have been putting on their own children to look after each other and study at the same time, and adult geckos with no ‘blood’ siblings becoming guardians with permission from extended family. One thing we can always say about Gecko is that it is NOISY! Well not so much anymore… Over 30 of our primary school students are now in full time schooling, with our extra Gecko classes in the afternoon no longer required. Walking around Gecko Central after 1.30pm is still a big change that we are getting used to… it is sooooo quiet. We had our first big floods since 2011… roads were knee deep, Gecko was full of cement bags full of sand for stepping stones, housing was sandbagged and our farms were ruined… but like any challenge at Gecko … ‘the bigger the problem the bigger the gift’ and we have come up with better farming techniques. Our projects and social enterprises are charging ahead and they are keeping us on our toes. A new shop, more dental appointments for NGOs, stunning banners printed, all male female hygiene workshops and beautiful, yummy fresh veggies keeping us healthy and full. There have been many proud and happy tears shed in the last year and we hope you too will feel proud after reading this 2017 Annual Report. 12 years ago, when we came up with the tag line, ‘where kids can be kids and dreams can come true’ not even we imagined how real that would end up being. As you can see, 2017 was a particularly inspiring year, with so much to be grateful for. It is with pleasure and heartfelt pride that we present this Annual Report to you highlighting some of our most special moments, major achievements and milestones as well as our financial reports. To view our video in your brower, please click here. There is no better way to wrap up a sensational year of exciting achievements than by sharing this wonderful video of the Geckos’ progress with you. What started as a Year 12 school project for Tania’s young cousin, turned into an informative and much needed update on Green Gecko’s milestones and achievements during these past nine years. We asked the kids what was important to them and what they wanted to share with our Gecko Extended Family… you, our supporters. Working together on their scripts and ideas, they have definitely impressed us with their all-kid production. We hope you recognise some familiar faces and enjoy seeing how far they have come. BORAM received his Degree in Business Administration and is now living his dream of giving back to his Gecko family, holding the position of Operations Manager at the NGO he grew up in. SOKUN was not only accepted into Dentistry, she was awarded a 7 Year Medical Scholarship for her integrity, character and community focus! SREY NEANG was awarded "Outstanding Student of the Year" for Social Work! The Green Gecko Project is an umbrella organisation that provides long-term health, education and training initiatives for 100+ children and their 32 families, and the broader community. Moving with the times and meeting needs as they arise has always been one of Gecko’s greatest attributes. Other than the original Gecko Central and our Outreach Program, we also have other projects under our umbrella that reach far beyond the gates of Green Gecko; including our Women’s Village, Gecko Action – Humanitarian Youth Group, Young Adults’ Program, and Tnai Samrap Srey - Feminine Hygiene Education. We also have five social enterprises comprising of Rehash Trash - Vocational Training for Women, Purple Mango - non-profit wellness centre, Footprints Permaculture Farm, and the independently managed Silk Screen Printing Lab and Grace Gecko - Vocational Centre for Women. Our reach is much broader than just a centre for children. When most people think of Gecko, they’re thinking of ‘Gecko Central’… the hub of the Green Gecko Project and the place where we spend the most hours and have the most activity. Fundamentally, it is a fun and loving extracurricular school for children and young adults with a strong focus on compassion, humanities and family. It is also a place that provides security, education, love and opportunities for them through their formative years and into their adult lives. They receive a range of activities including Living Values, Me and My Planet, Bokator (traditional Khmer martial art), Computer, English and Library, Traditional Music, Art and Dance, and Khmer Literacy and Media, as well as care and support, and a sense of belonging, empowering them to achieve their full potential. 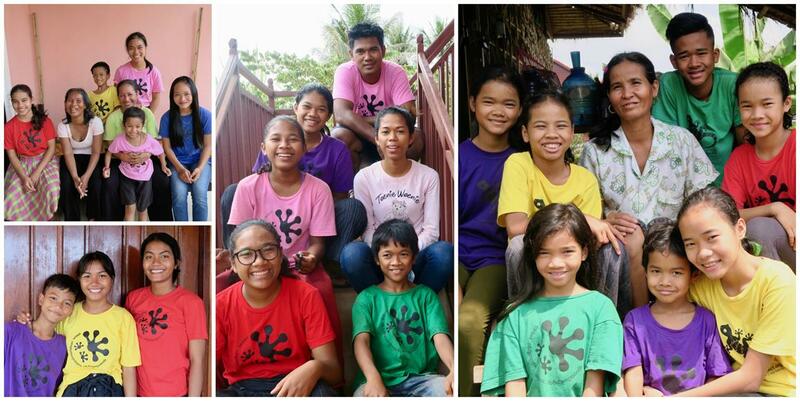 Inside our centre we work on the traditional Khmer kinship care model where older adult siblings look after their younger siblings; they are divided into smaller groups of 10-11 and operate as a small family within one big one. They eat together, do chores together, help each other get ready for school, love and support each other. They have a very strong family-like connection and absolutely consider themselves siblings. You only need to look at our Facebook page to see the great milestones and achievements these children/young adults are making on a weekly basis; they are not merely surviving, they are absolutely thriving. Often they are acknowledged for their compassion, confidence, strong sense of self-esteem and individualism. Simply put, our model – for these kids - is working. Our babies are now leaders! Goodbye Liz, we LOVE you! New school AND it is ALL DAY! We have come full circle... from begging child to University Graduate and Operations Manager! Finally we can share our best kept secret! With over half of our Geckos now young adults, it is important that Green Gecko provides skills and opportunities for them to transition into the ‘real world’. Our Young Adult Program focuses on job skills such as CV writing, interview techniques and career counselling, explores different tertiary education options from apprenticeships (both school and non-school based), vocational training and university courses; and identifies non-paid/paid work experience options for others. 2017 saw our biggest numbers yet graduating from Year 12 and entering university… we are now covering a range of future professions … from Law to Community Development; Dentistry to Business Management and Public Administration. In addition to their amazing results, two of our students received full scholarships. We also found many more opportunities for our work experience students to improve their work ethics and communication skills, and to show them how they can make an impact within their own community. Here are some of the proud moments we've posted on our Facebook page lately... just in case you aren't a frequent Facebooker. From Street Kid to University Scholar - Dr Sokun here we come! Education is always the answer, even when it comes to animal welfare! New students, new dreams and new businesses - our 2017 Work Experience Program starts again! Green Gecko has always worked with the families of the children… from providing workshops on better parenting to covering medical costs to assisting with a safe housing allowance. We have always known that to be able to reintegrate the Geckos back into a safe family environment meant a lot of work breaking the welfare cycle and caring about the post-traumatic stress disorders that many of our parents suffer from, whether it be addictions or extreme poverty, these issues needed to be addressed first. Our families needed long term solutions… not quick fixes... and we provided just that. We are now so proud to be able to say that after 10 years of hard work, so many ups and downs, and great achievements, that 100% of our Geckos have all been reintegrated into safe community living arrangements over the last two years. It took supervised family fun days, weekly visits, counselling, micro business loans, vocational training, educational workshops on health & hygiene, positive parenting, domestic violence, marriage laws, financial literacy and much much more to get to the stage where our team felt confident that the Geckos would be SAFE and that we were not being negligent. 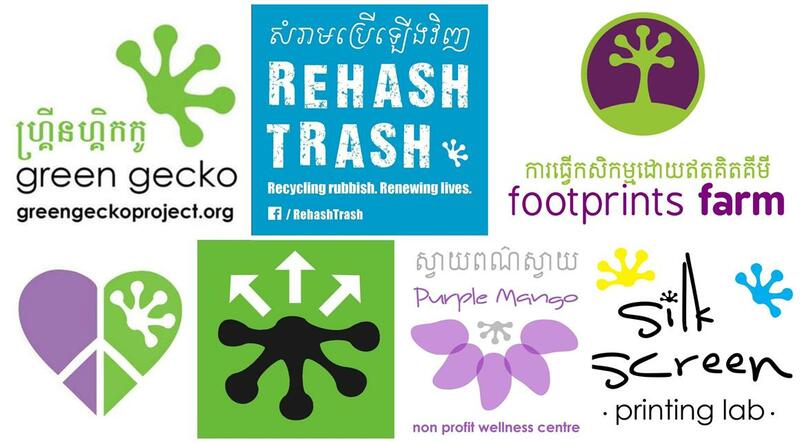 Rehash Trash – our female empowerment & environmental care social enterprise – continues to go from strength to strength, and in 2017 we employed our 24th staff member! Ensuring that the mothers and older sisters of our Geckos, along with women in the local community, are employed in a safe, friendly and respecful environment, Rehash Trash is helping guide many families towards a secure and viable future. With our team growing, production booming and our ladies creating more and more beautiful products, not only is our social impact increasing, but our eco reach is as well, and we are now recycling a staggering 5000 bags each week. We really are Recycling more and more Rubbish, and Renewing more and more Lives! Kicking off 2017 with a fabulous collaboration… fit for a princess! 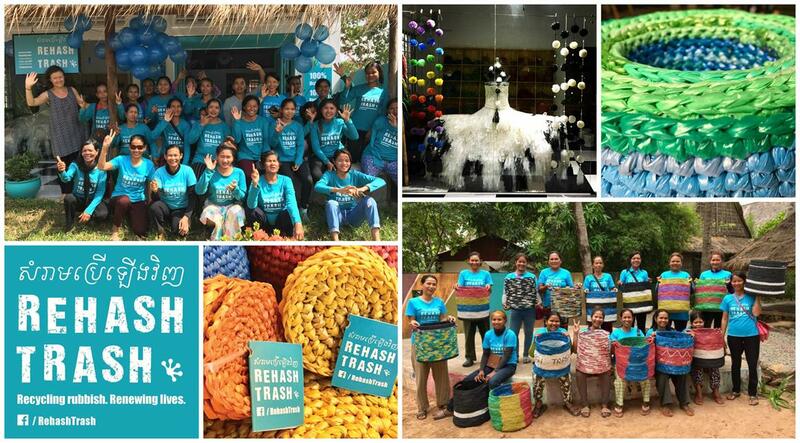 Baskets of Hope… and Rehash Trash going international! With the opening of our showroom, it was time to create a separate crèche for the Rehash kids, recognising the right of our ladies to be able to earn an essential income, while also ensuring their young children are taken care of in a safe and stimulating environment. Recycling more & more rubbish with our new range! In many countries around the world, women have the option to provide their children with safe, play based, interactive and loving childcare so that they can continue to work, whether it is to focus on their career or to bring in much needed extra money to help their family survive. In Cambodia, the usual option for women is to either work from home growing vegetables or catching fish/frogs/spiders to sell to local neighbours; leave their children with aging family or have the eldest girl leave school to look after her younger siblings; or simply just not be able to work and keep their child safe at the same time. We didn’t want this to be a problem for our amazing Rehash Trash staff, so we have created our very own Gecko/Rehash Trash Crèche run by our fantastic staff member, Nary and supported by 2 of our Gecko students Somanang and Mien, who are looking at becoming qualified childcare workers in the future. Thanks to Tree House Nursery, Nary did some observation and training onsite with them. She is an absolute natural, initiating play based learning and really focusing the first few months on hygiene and manners. Purple Mango Wellness Centre is a Green Gecko non-profit social enterprise that provides treatment spaces for visiting and local practitioners from all forms of holistic therapies. Services provided are primarily offered to the expat community using an affordable fee structure, which then enables us to offer treatments to the Khmer community on a donations basis, depending on what the individual can afford. Included in those treatments is a weekly dental clinic, offering fundamental dental care, not only to the Gecko family but also to our extended Khmer community through our partner NGO network. 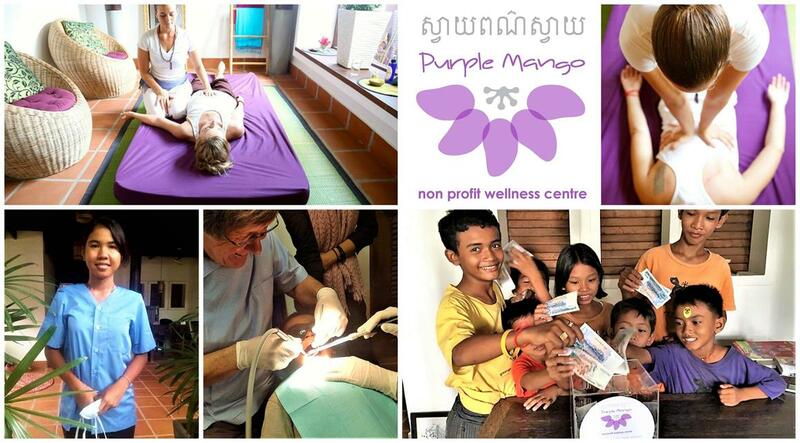 In 2017, our beautiful Purple Mango Wellness Centre moved even deeper in its mission of supporting and serving our local Khmer community through essential collaborations with like-minded NGOs, and working with talented therapists & healers to offer comprehensive social & holistic care. It truly is becoming an essential community centre and it is wonderful to see its beautiful spaces being used to their full potential. Since opening Purple Mango Wellness Centre we have been on the look out for a qualified social worker and counselor who can work with our Khmer community, and we are so blessed to have found Jason who not only speaks fluent Khmer, but has a deep understanding of Khmer culture. 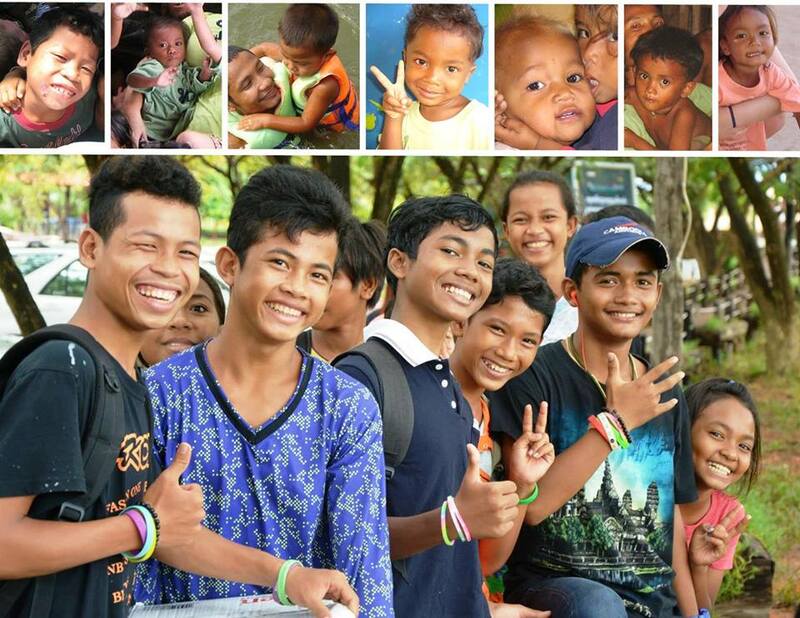 He is achieving wonderful results not only with our Green Gecko kids & families, but with the broader community too. Community collaboration at its finest! "Like the roots of a tree make a tree strong, we feel that Gecko is what has made us strong, so we have put our Gecko print as our roots and the arrows are like the branches of a tree going out into the world. We chose arrows because they look like action and we want to make action in all directions." 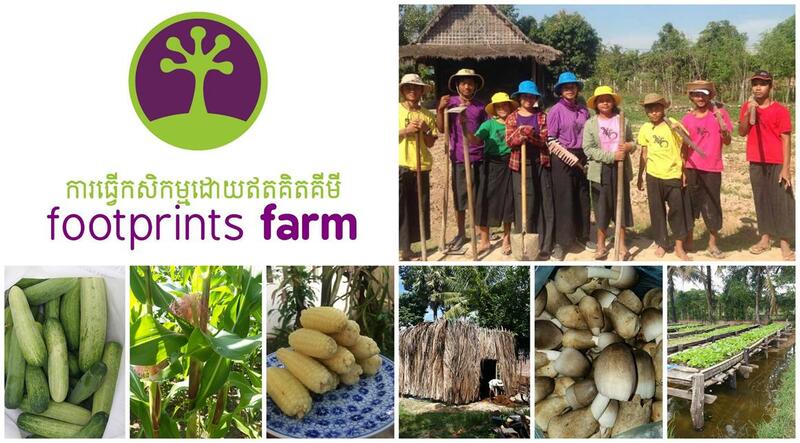 Footprints Farm is a flourishing permaculture farm of various vegetables, fruits and roaming animals. Not only does the farm deliver fresh, chemical-free food for Gecko, it also provides an outdoor classroom for all of our students, and employment and training opportunities for the local community and our young adults. Green Gecko Project has teamed up with like-minded allies Hearts to Harmony for a project inspired by – and in support of – Days for Girls International, an organisation that empowers days of education, health, safety and dignity for girls and women all over the world no matter what time of the month. TNAI SAMRAP SREY literally translates from Khmer into DAYS FOR GIRLS and like their tag line, it is for EVERY GIRL. EVERYWHERE. PERIOD. 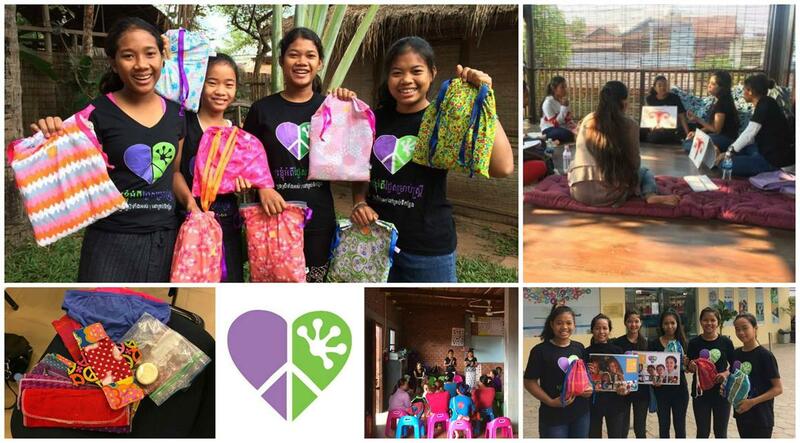 Fortunately, the girls at Green Gecko and beneficiaries of Hearts to Harmony have access to feminine hygiene products, but there are many girls and women throughout Cambodia who, without these essential products, are experiencing too many days without school, days without income, days without leaving the house. Working together, Tnai Samrap Srey has distributed over 1650 feminine hygiene kits through our peer education program and continues to raise awareness of female hygiene issues in Cambodia since we began in 2014. We are not a one woman team! 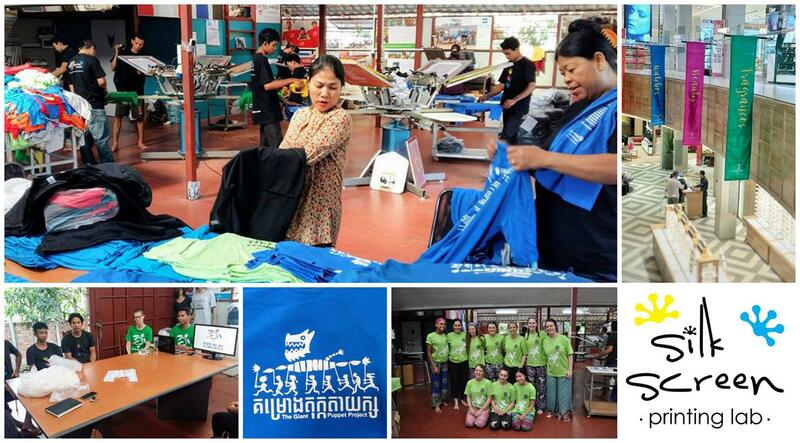 Now well established, the Silk Screen Printing Lab cemented its reputation for high quality and customer service in 2017 by continuing to produce garments for the local and export market. 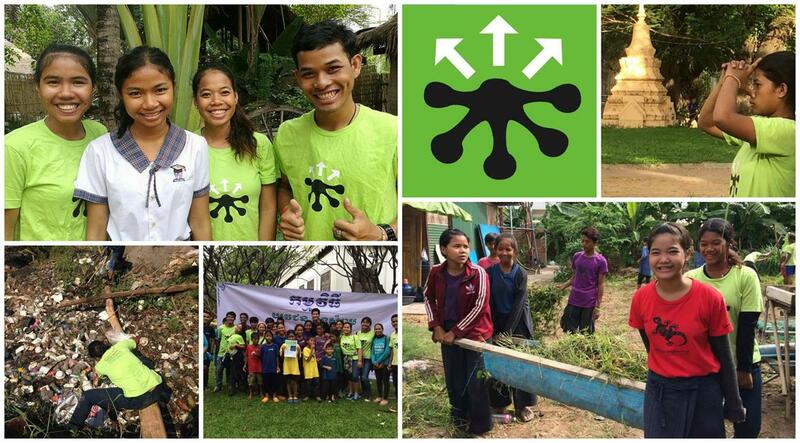 At the same time, we provided free, creative workshops for the underprivileged, and valuable work experience and employment for the Green Gecko Project’s young (and not so young) adults. Do you know your t-shirt’s history? We all studied history at school, but do you know the history of your clothes? What working conditions were they made under? What chemicals were used to dye them? …to print them? Do we really need so much plastic? Can we print gold onto 2 metre silk banners for a world class shopping centre? Well, yes! At Green Gecko we are proud of our transparent accounting practices and take our accountability seriously. We are accountable not only to our donors, but also to the children and families we seek to help, to ensure our work has the greatest impact and creates the most sustainable solutions. Unless specifically stated by our donors, ALL contributions are considered general donations. Our low admin charges are due to the fact that no foreigner is paid from general donations, and most fees and charges are deducted before donations are received into our account here in Cambodia. Green Gecko... where kids can be kids and dreams can come true. 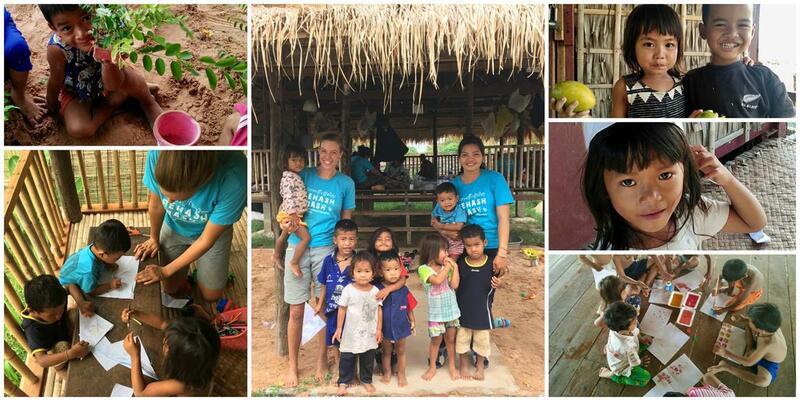 either you have requested a copy of our annual report or because you have asked us to keep you in the loop via our website, by email or while visiting us in Siem Reap.